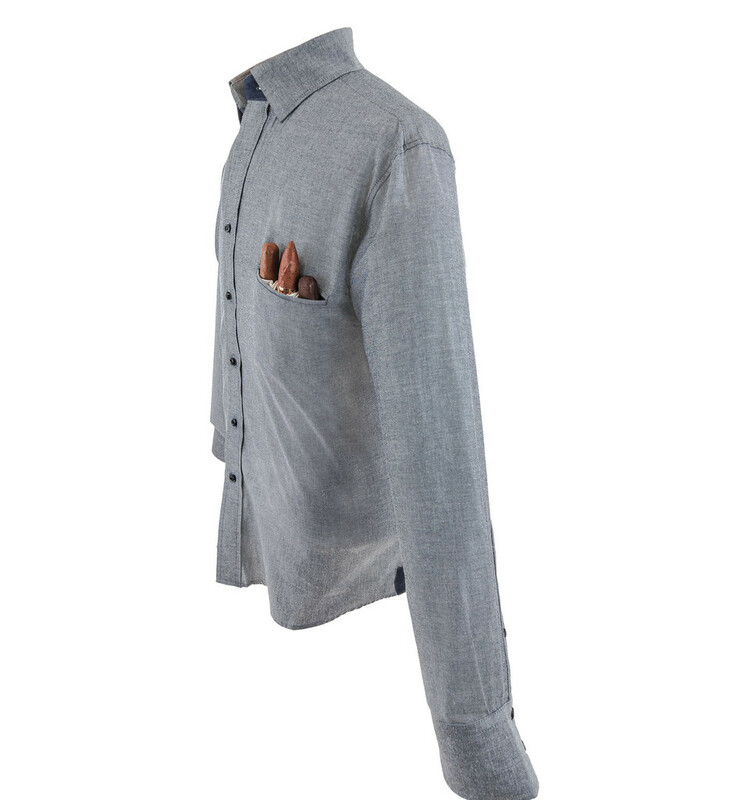 True to the name, this cigar shirt is is a tribute to the beautiful gray layers of ashes at the foot of a finely constructed handmade cigar. 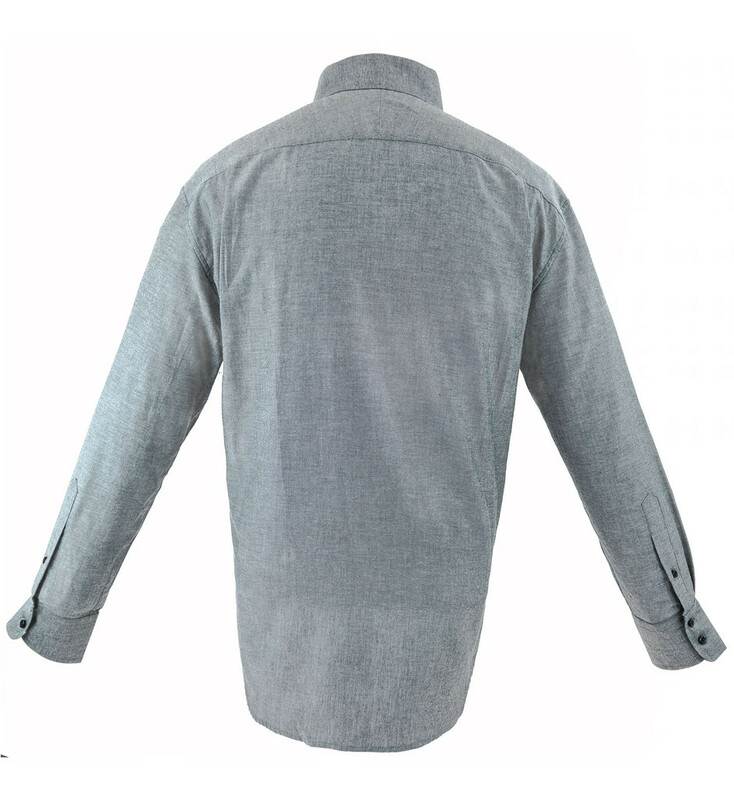 The gray ashes with specs of white and dark gray along with the black burn line are reflected by the smoke gray body of the shirt and the iridescent black accents and jet black buttons to complete the theme. 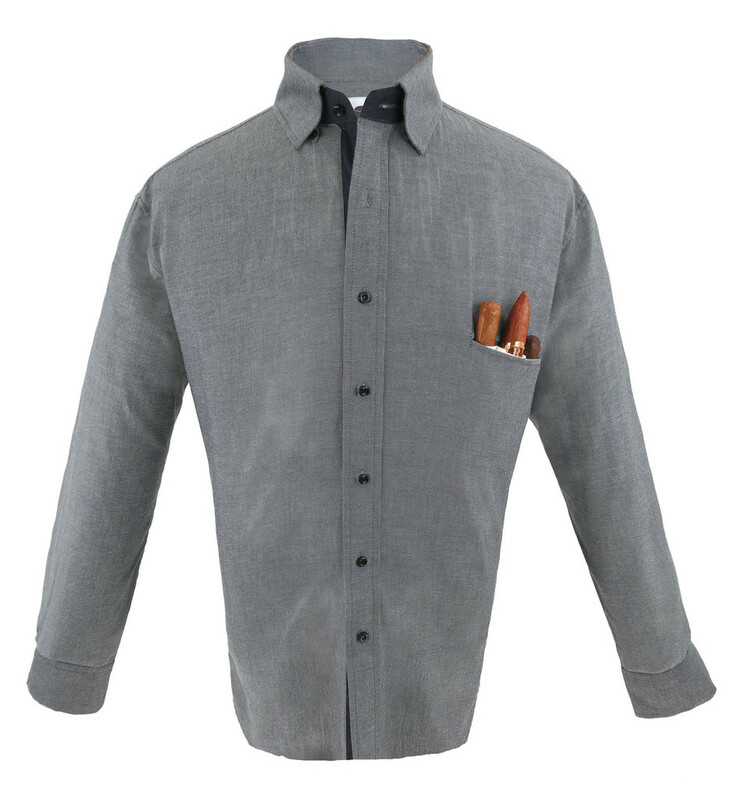 This cigar shirt prefers the night scene pairing well with a black blazer but don't be afraid of some gray suede shoes with dark jeans. 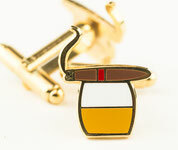 During spring and early summer this cigar shirt will also pair well with white pants or shorts.